Now that the highest peaks will remain immaculately white until spring, it is time to take out the ski equipment and enjoy the silk sheets of 5-star hotels and Michelin-starred restaurants that will be waiting for you at some of the most exclusive ski resorts in the world. But the most important thing are the slopes, right? Well, in spite of having excellent conditions for practicing winter sports, the least important thing at these luxurious resorts is skiing, or at least for some of their visitors. 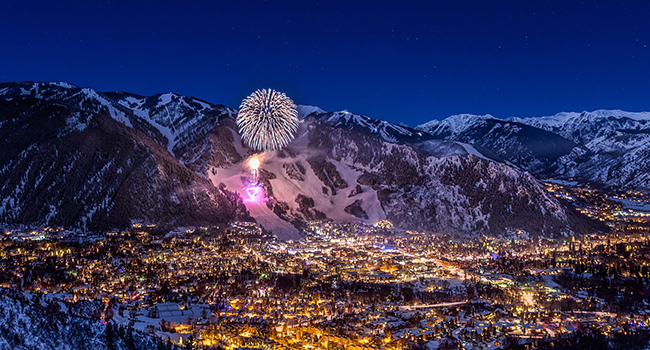 If there is one place in the world that can concentrate hundreds of stars year after year, this is the famous ski resort of Aspen in Colorado. Aspen is a quaint village on the Rocky Mountains with Victorian houses that date back to the mining settlements of the gold rush. Here, you might find Uma Thurman, Kate Hudson, Johnny Depp, Mariah Carey, Elle Macpherson, Heidi Klum or Jack Nicholson practicing winter sports on the slopes. As you could imagine, the real gold rush is to get one of those mansions. To give you an idea, Melanie Griffith and Antonio Banderas sold theirs for $ 10 million! But don’t worry, it is also possible to have a luxurious stay in Aspen without spending that much money. There are some wonderful hotels such as The Little Nell, and you can also try authentic delicacies in its more than 100 restaurants. If you are an art lover, you will enjoy its 40 galleries. And, of course, go shopping! Louis Vuitton, Prada, Gucci, Dior, Burberry, and 300 other exclusive boutiques could not let down their clientele on the snow. For those who also want to ski, there are four different resorts and 495 kilometers of slopes. But you do not need to cross the pond to ski with luxuryand glamour and surrounded by stars. Just as Aspen was already fashionable in the 80s, Saint Moritz (Switzerland) has been in vogue in Europe for more than 100 years thanks to it is luxury skiing facilities. This fairy-tale small town located in a deep valley surrounded by lakes in the Upper Engadine, right on the border between Austria and Italy, welcomes every year a lot of important politicians, businessmen and, of course, actors. Their arrival usually coincides with the first time that the lake freezes every winter. 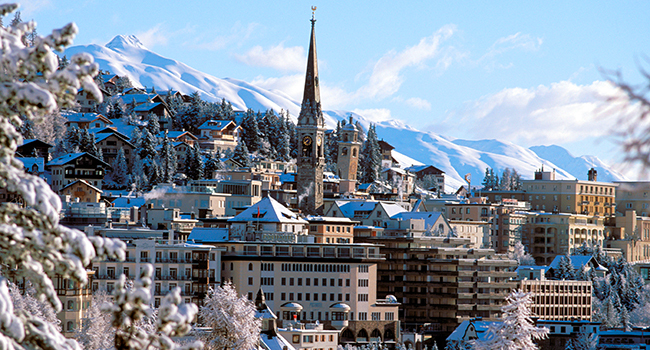 Saint Moritz is sheer luxury, with more than 350 kilometers of ski slopes, 60 lifts and more. On its frozen lake you can enjoy a varied program of horse and greyhound racing, ski jumping, golf, cricket, and even the world’s most prestigious snow polo tournament. Can you think of something more exclusive? The Saint Moritz Tobogganing Club has a private slope -women can’t access it since 1920-, so steep that you can only descend it on a sleigh. Certainly the higher, the most exclusive! 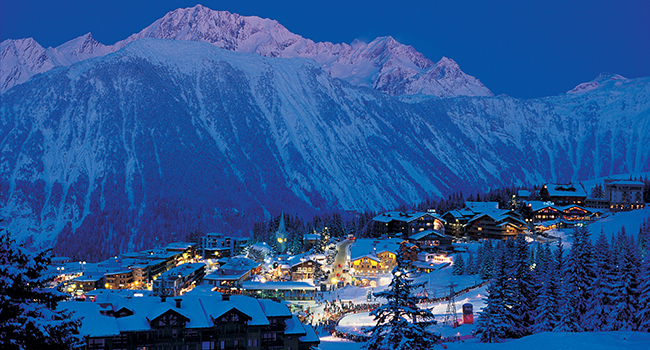 In France, at the other end of the Alps, you will find the ski resort that has picked up the baton of glamour. Courchevel not only has the largest concentration of five-star hotels (18) but also of Michelin-starred restaurants in all winter sports centers worldwide. Celebrities like Kate Middleton, Roman Abramovich, Clooney, Georgio Armani, Madonna, David Beckham, Robbie Williams, Donatella Versace and Schwarzenegger are usually seen here every winter despite the exclusive prices – more than 27,000 euros per square meter. The higher, the better because Courchevel is divided into sectors according to altitude or proximity to the slopes, depending on how you look at it: 1,100, 1,300, 1,550, 1,650 and 1,850 with ski lifts in front of your door in order to access the 311 slopes that you can find on “The Three Valleys”, the world’s largest ski area. After an exciting day of snow action, there are more than 32 spas where you can relax and you will also be able to find the most luxurious boutiques in the world. Even the Louis Vuitton group has a hotel with an airport in Courchevel, which is, by the way, the most dangerous airport in the world due to the fact that it’s only less than 350 meters long. Incredible, right? However, Spain is not far behind. The Pyrenees meet all the aforementioned criteria but on a somewhat smaller scale. 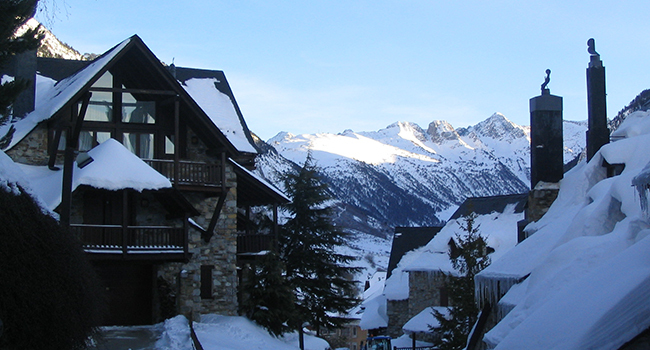 Baqueira Beret has always been the place of choice for the Spanish royal family to relax and have fun. They always visit the resort for Christmas and spend some days in La Pleta, their official residence. Chamonix in France is also very well-known because of its luxury and glamour, but also because here, at the foot of Mont Blanc, is where cross-country skiing was born. Visit Gstaad (Switzerland), a picturesque pedestrian village to walk around and go unnoticed. Don’t miss Arlberg (Austria) with its five villages Lech, Zürs, St. Anton, St. Christoph, and Stuben if you want to spot Caroline of Monaco, or Cortina d´Ampezzo (Italy) if you want to enjoy its lively nights. And you, where in the world you would like to ski? Here skiing Kate Middleton, Abramovich, Clooney, Armani, Madonna, Beckham, Versace or Schwarzenegger. They are the most exclusive ski resorts in the world.